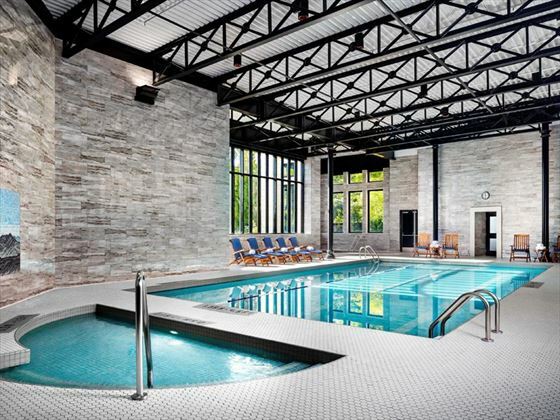 This itinerary is a real treat – staying in two of Canada’s loveliest hotels and flying between the two by float plane. 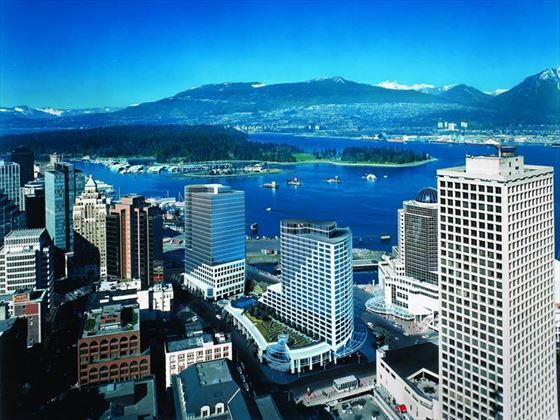 Take time to explore the gorgeous city of Vancouver and its different neighbourhoods, where you will find an amazing array of restaurants, shops and galleries – a lovely place for a three day stay. 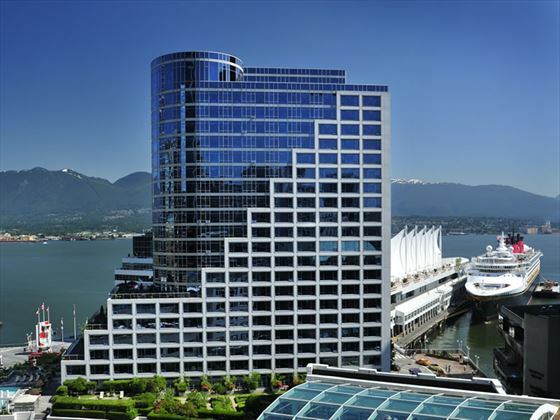 WE thoroughly recommend a "Vancouver Photowalk" tour, which tours a variety of neighbourhoods on different days of the week. For example on a Thursday or Sunday you will be taken around the cobbled streets of Gastown and given tips on composition and lighting. 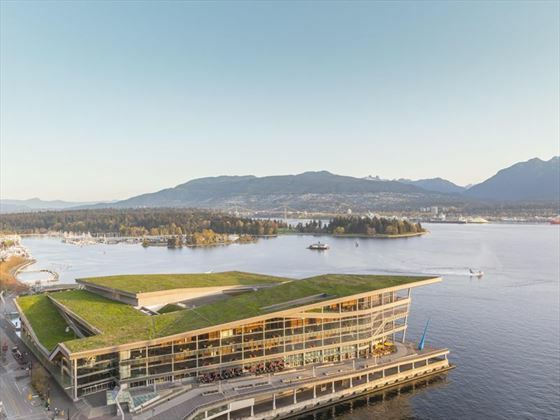 Then you’ll board a float plane and take the 40 minute scenic flight over the Strait of Georgia to the harbour in Victoria – the capital of British Columbia. 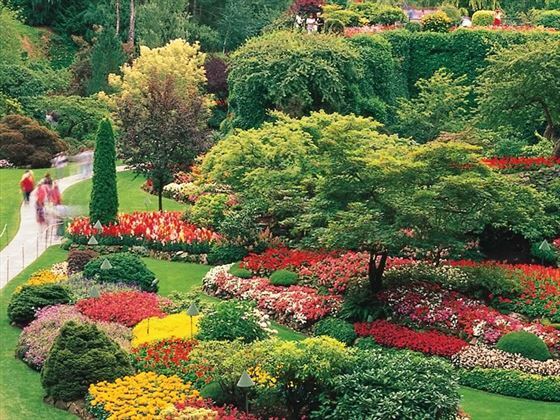 Here you can stroll the lovely harbour front and visit beautiful Butchart Gardens, or take to the water for a whale and wildlife watching cruise. 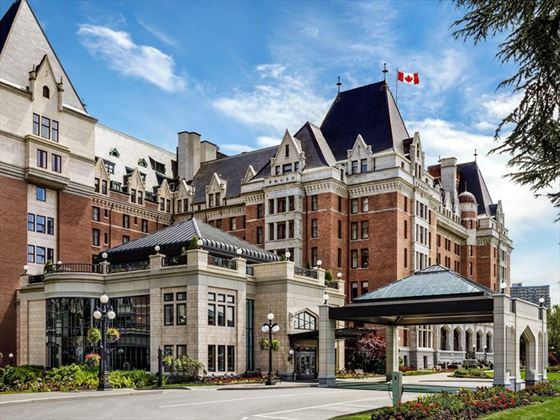 This suggested itinerary can be tailormade to suit you, perhaps add a cruise to Alaska or how about a Rocky Mountaineer train journey through the majestic Rockies and the National Parks of Jasper and Banff. 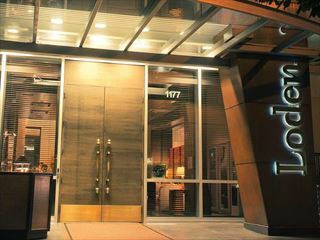 Fly to Vancouver and make your way independently to the luxurious Fairmont Waterfront for your four night stay. 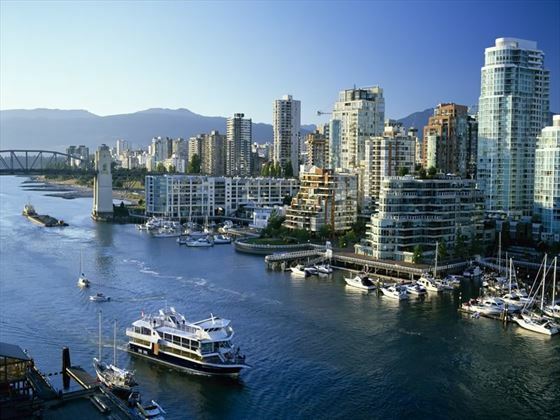 Enjoy sightseeing, shopping, eating and drinking in this wonderful city with its beautiful backdrop of mountains and ocean. We can book a great range of tours and activities for you in this city, so if you fancy a foodie tour or a bike tour or simply a hop-on hop-off bus tour, then just let us know. 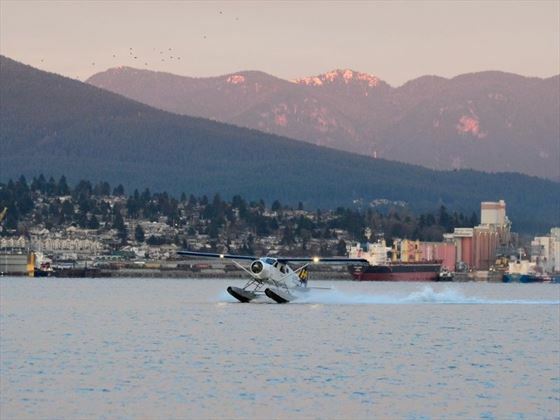 The float plane takes off just a few minutes away from the Fairmont Waterfront, so relax and enjoy the experience, enjoying the birds eye view of the city. 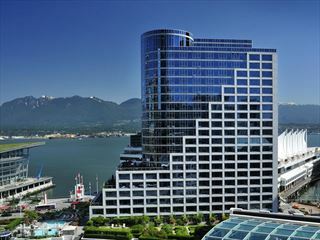 The flight takes about 40 minutes and you’ll fly over the Straight of Georgia, landing in Victoria Harbour. The Fairmont Empress is just a few minutes drive away on the other side of the harbour. 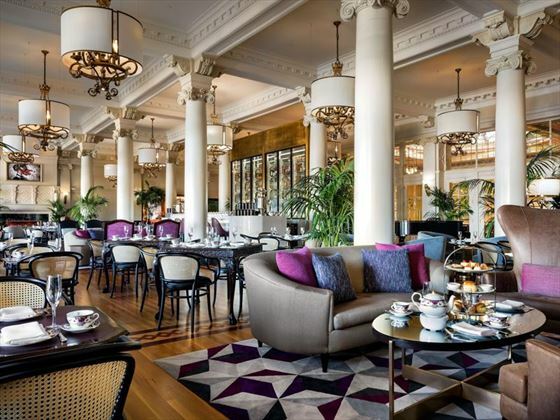 This iconic hotel underwent a massive refurbishment in 2017, and is now a magical mix of historical heritage with a modern twist. 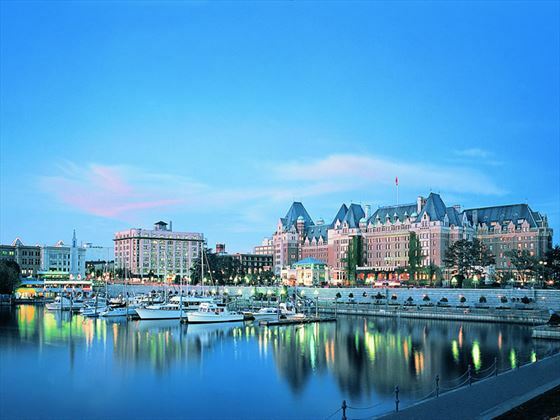 Whilst you’re in Victoria, you may want to enjoy a whale-watching cruise, which we can book for you. 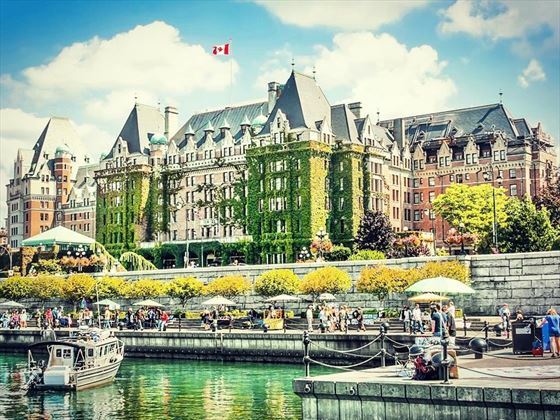 You can also stroll Fisherman’s Wharf, tour the British Columbia Parliament Buildings and visit the stunning Butchart Gardens. For more suggestions, click here. 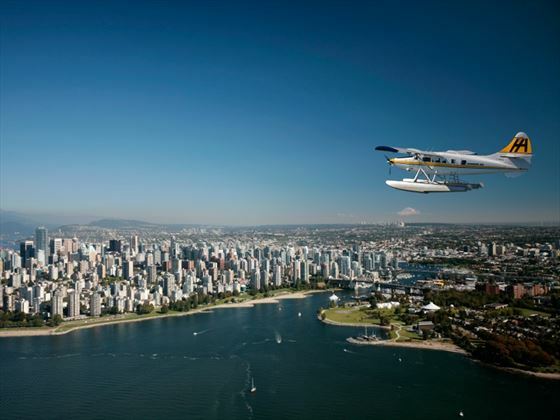 After a relaxed morning, take the float plane back to Vancouver. 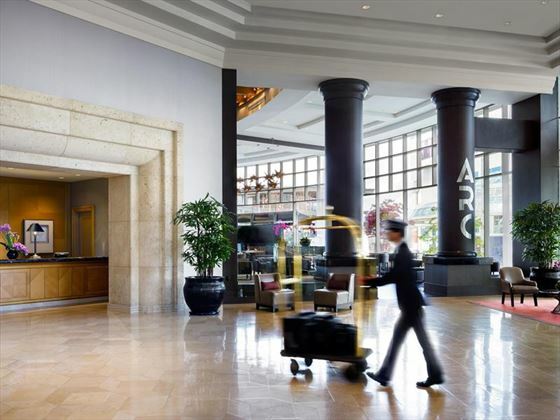 You’ll have time for a leisurely lunch before transferring independently to the airport for your flight home. Maximum baggage weight float plane transfers is 23kg per person, bags will be sent on the same flight if possible, or on the next available flight. 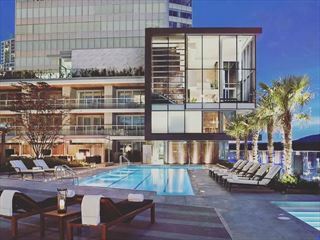 Surrounded by the coastal mountains and blessed with a spectacular harbour, lush city parks and undeniable charm, The Fairmont Waterfront has a stunning view wherever there’s a window. 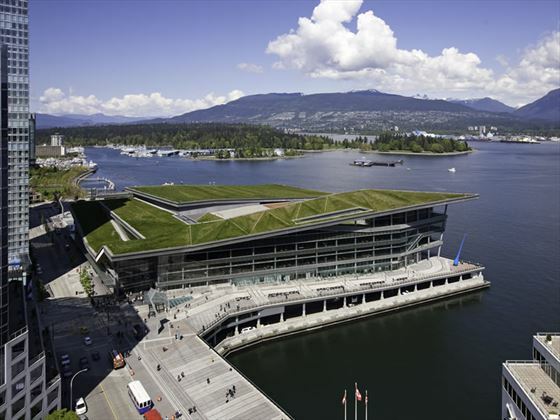 The hotel is located beside an enclosed walkway to the Vancouver Convention and Exhibition Centre, the Cruise Ship Terminal, and is within walking distance from Stanley Park and Gastown. 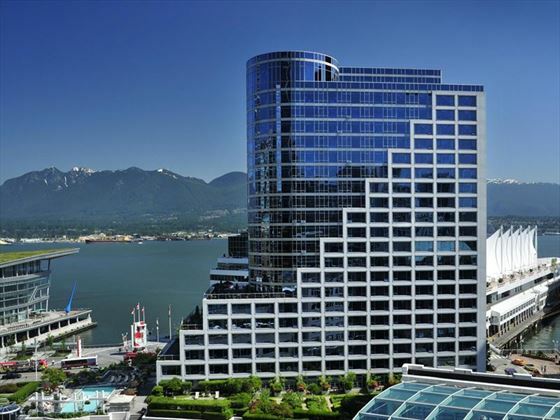 With its peerless views, friendly staff, fabulous accommodations and impeccable service, The Fairmont Waterfront captures all that’s appealing about Vancouver. Travel inspiration: Explore Vancouver's neighbourhoods including Gastown, which is a charming independent district you won’t want to miss. If you're wondering where to eat in the city, we've got some superb culinary recommendations for you too.